These alphabet samplers are a bit puzzling. They had already mentioned that these fonts are taken from old samplers, here and there some letters may be missing. While looking at the pattern, ‘X’ was missing and the space between two letters varies after some letters. Thinking the ‘X’ can be included by making some calculations, read the related post, found ‘O’ was missing too. Instead of complicating this project, I just followed the chart. The pattern is here. While looking at the sampler, will it be irksome, if someone[ including myself] keeps noticing these irregularities? I wonder! I returned from Chennai, India, on Saturday night. Started on this week’s pattern yesterday. The free graph pattern is available on this site. These are the last few ideas to work this stitch on this sampler. Instead of working the interlacing on the chains, the stitches between the chains are used for interlacing in the first sample. The chains are left untouched, because the interlacing does not pull the chains. Now I wanted to work the cable chain stitch rows in such a way, the interlacing can be worked on all chains in one journey. That experiment is successful. If the interlacing can be done in one journey, is it possible to work beads while interlacing? The answer is yes. 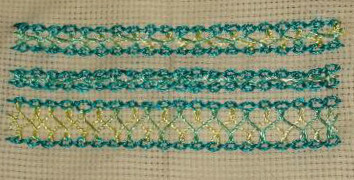 In this variation beads can be used while interlacing. 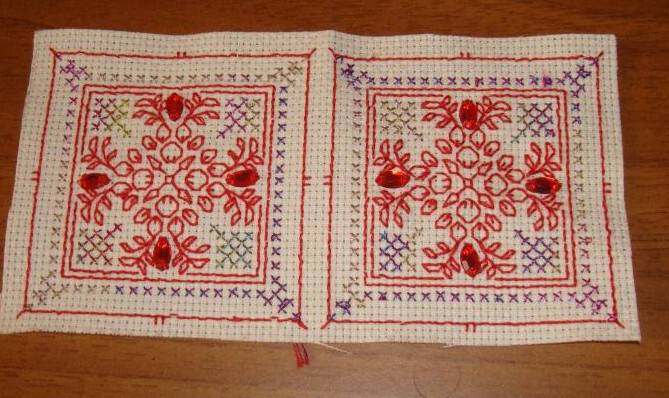 In the first sample, a lace was stitched with a row of cable chain stitch and interlacing was done. It was complex to maintain the uniformity of the two rows to work the interlacing. In the last sample after working cable chain stitches with beads in between the two rows are interlaced. 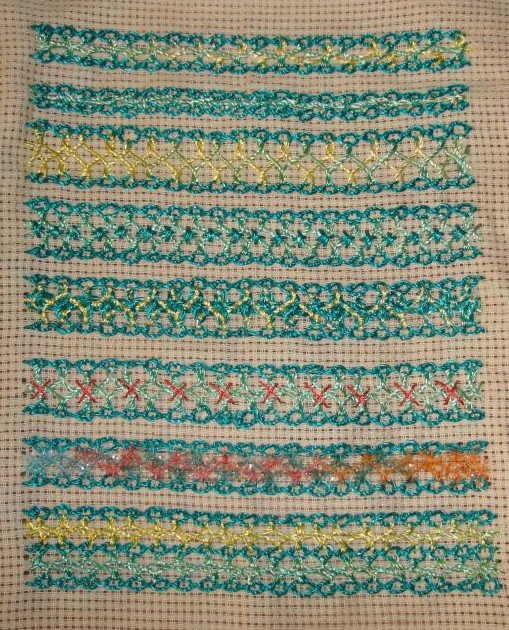 Started with three the basic interlaced cable chain stitch samples by varying the distance between two rows of cable chain stitches. 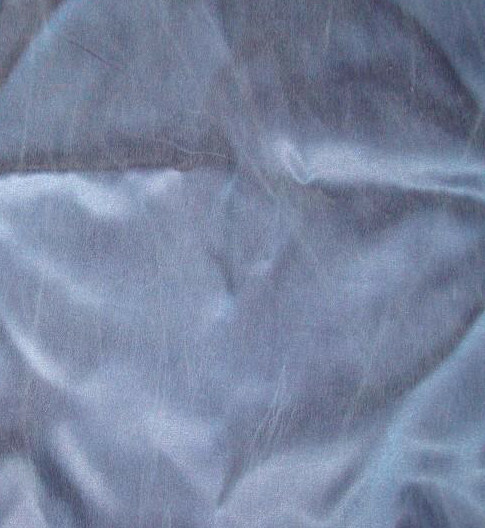 This fabric helps in maintaining the uniformity of the stitches which is crucial for the interlacing. Worked some upright crosses over the interlacing on the first sample. this led to try working interlacing over the interlacing, the second sample is the interlacing in progress. Not a very successful experiment. Alternate interlaced diamonds are decorated with cross stitch in the first sample. novelty thread is used for interlacing in the second sample. Three rows of cable chain stitches are interlaced in this sample. Thinking of more options to work this stitch.